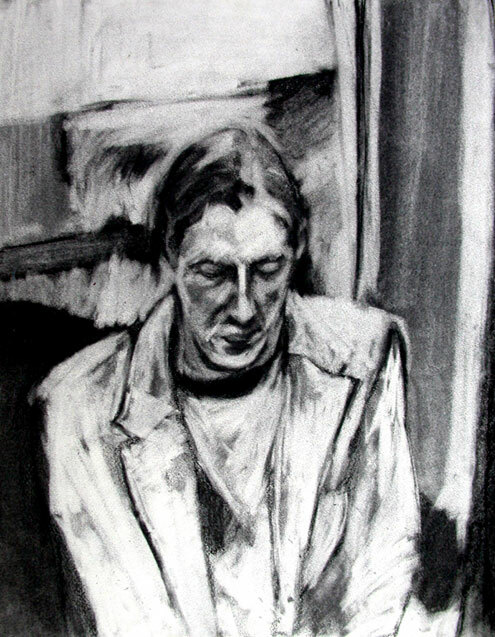 Life drawing of Dave. Charcoal on paper. Anne, my grandmother. 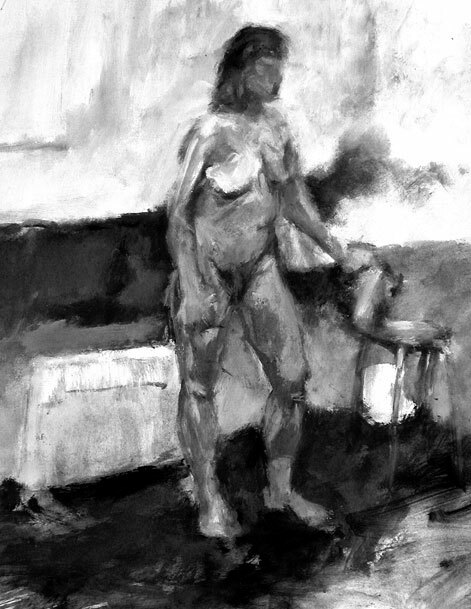 Life drawing using oilstick on canvas board. 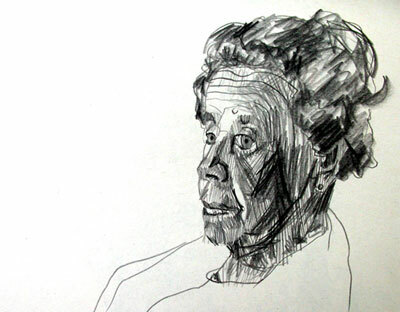 Life drawing of my great aunt, Mary. Pencil on paper. 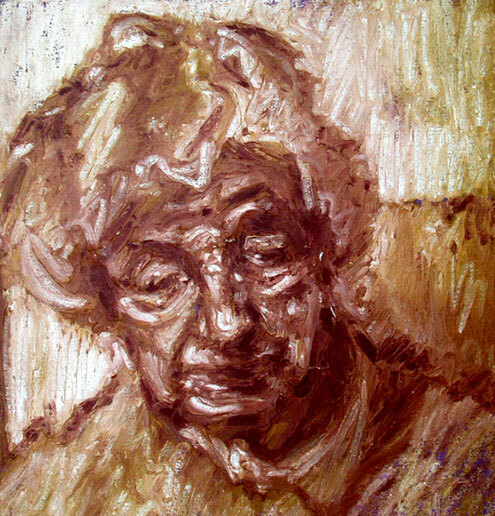 My grandmother, Anne. Pencil on paper life drawing. Life drawing sketch. Black Conte stick on paper. 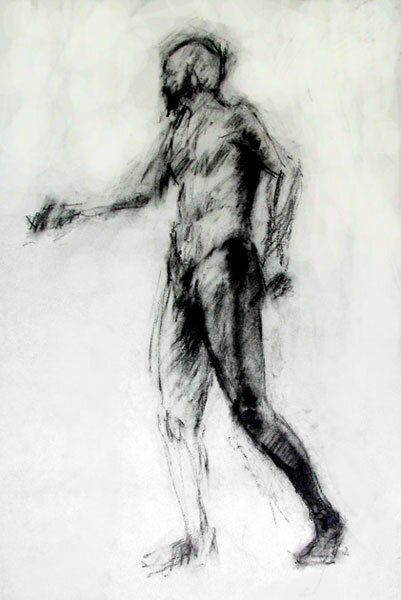 Walking man life drawing. 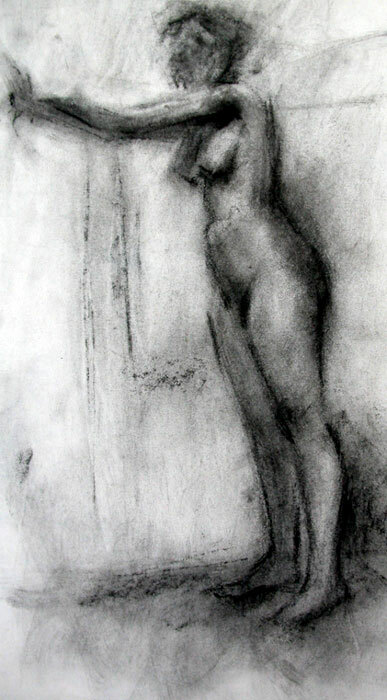 Black Conte stick on paper. 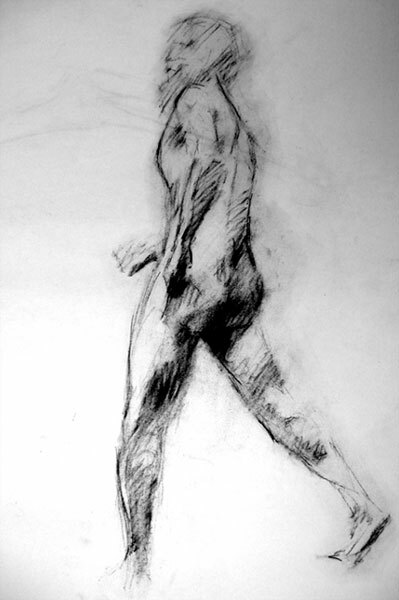 Charcoal life drawing of a leaning figure. 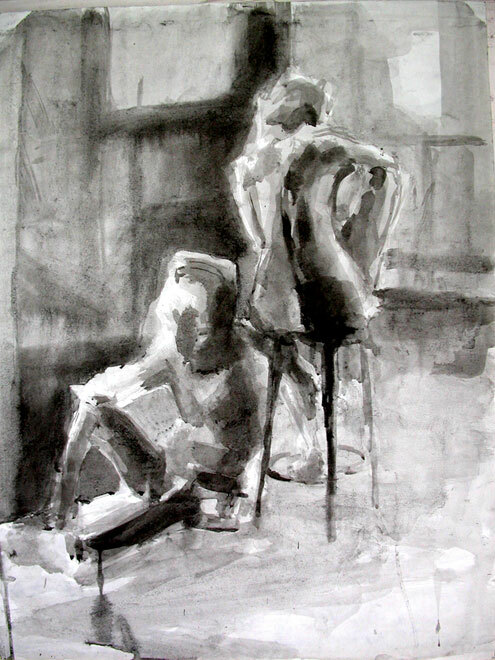 Life drawing of two seated figures. Brush and ink. 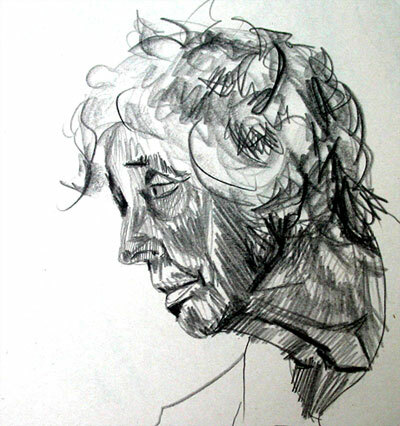 One of my older life drawings that I have always liked. Acrylic painting on paper. This is from Fall Quarter, 2006.